All travelers should take out travel insurance before they head overseas - Australians in particular, as we tend to have an "it will all be okay" attitude. The Australian Government has spent millions of dollars warning travelers of the health and financial risks of traveling overseas while uninsured. More than 14,000 Australians find themselves in trouble every year, including being admitted to hospital, having an accident or getting ill on the road. Young Australians especially, who might be inclined to go for the more adventurous holiday, can minimise risk and make a lot of difference. Erin Langworthy, a young Australian who fell 110 metres into a river in Zambia in 2011 after her bungee cord broke was featured in a major government campaign. Her insurance ensured treatment in a high-quality hospital and saved about $50,000 in medical bills. Australians without travel insurance risked poor local hospital care and high medical bills. Travel insurance is cheap, it's easy to obtain, and it can save your life when overseas. Know What Cover You Have! Make sure you read your insurance policy's product disclosure statement carefully and that you understand exactly what it covers and, most importantly, what it doesn't cover. Identify whether you are covered for activities you are planning or might consider on the spur of the moment, including some that may be classed as risky. Ensure the policy is valid for the whole length of your trip - and what options you have if you want to extend your trip or are unavoidably detained. Policies may become invalid if injuries are sustained as a result of being under the influence of alcohol or drugs, or breaking the law. 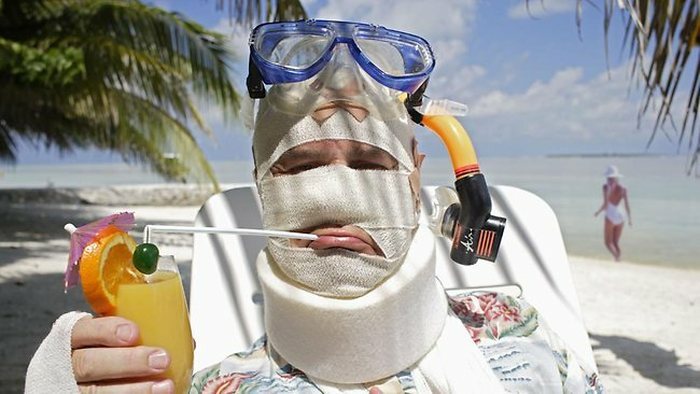 If you can't afford travel insurance, you can't afford to travel!